Welcome to The Gadget Professor Show #322 hosted by Don Baine. AptX Low Latency Audio: Streams high-fidelity lag-free stereo sound in transmitter mode; Note: A low latency compatible Bluetooth receiver is required. Pairs with 2 Devices: 2-in-1 Bluetooth 4.1 transmitter pairs with up to two Bluetooth receivers like headphones or speakers simultaneously; Note: aptX Low Latency does NOT support dual link modee. Streams while Charging: Wireless audio reproduction is kept on even while charging; built-in battery streams content for up to 10 hours per charge. 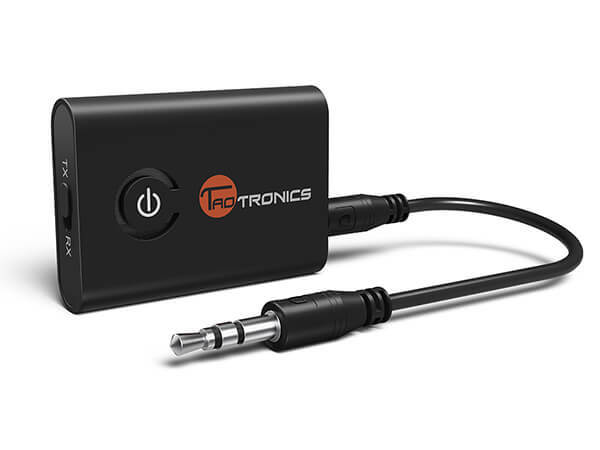 Unlimited Bluetooth Functionality: Transmitter mode (TX) turns your non-Bluetooth TV, PC, CD / MP3 / MP4 player, or iPod into a Bluetooth transmitter while pairing with a Bluetooth stereo; receiver mode (RX) perfectly integrates into your home or vehicle music streaming setup. Pure, Unaltered Auditory Experience: aptX audio codec provides CD-like audio quality wirelessly; comes with a 12 + 6 month warranty and TaoTronics 24/7 friendly customer service.